@NHLDraftTalk takes a look at what should be the Edmonton Oilers' draft day game plan for the first 3 rounds of the draft. 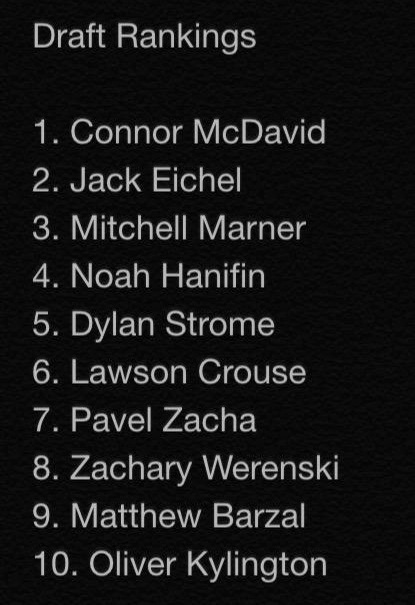 There have been hundreds of tweets and articles written that include the phrase "If McDavid and Eichel weren't in this draft, (insert player name) would be a top ten pick." We're finally here! The countdown is over but hell, you all know who's left right? So delve in and complete the journey! As an added bonus we've included video footage of the top 5 prospects in this year's NHL entry draft!